No one likes the thought of experiencing a problem with their furnace. When you need a furnace repair or installation in Tampa, you want to make sure the job is done properly. 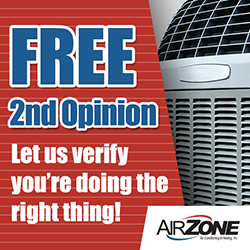 Air Zone Air Conditioning & Heating is an affordable company that specializes in all types of furnace services. Not only do we install new furnaces, we can repair and service existing ones. No matter what type of furnace-related need you have, our technicians are here to help 24-hours a day. At Air Zone Air Conditioning & Heating we have the training, certifications and professionalism necessary to give you a great experience and get your problem resolved. When your furnace malfunctions, you don’t want to wait around and allow the problem to grow worse. Our company takes great pride in delivering 24-hour emergency furnace repair. You’ll never have to be without your furnace for long when you work with us. Unfortunately, every furnace will experience a problem at some point and we can help extend the lifespan with proper maintenance. We check for any issues that could compromise the unit. With regular maintenance, you can save money in the long-term and keep your furnace in good condition year-round. When you need a furnace installed, you want to make sure you hire a qualified heating company because when it;s cold outside you want your system to perform at optimal levels. In some cases, it can even pose a serious safety hazard. At Air ZoneAir Conditioning & Heating we have over 30 years of experience providing furnace repair and installation throughout Hillsborough, Pinellas, Pasco, Polk, and Hernando County. Our certified heating team will provide you with a seamless experience and ensure your furnace installation is working properly. 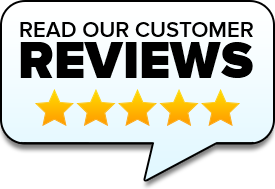 When you need furnace repair and installation in Tampa choose the company with over 30 years of experience, Air Zone Air Conditioning & Heating. To find out more about getting air conditioning services, air conditioning repair, or furnace installation in Tampa, contact Air Zone Air Conditioning & Heating today!